Sri Lanka is set to take on Bangladesh in the curtain raiser match of the Asia Cup 2018 which will be played from September 15 to 28 in the United Arab Emirates (UAE). 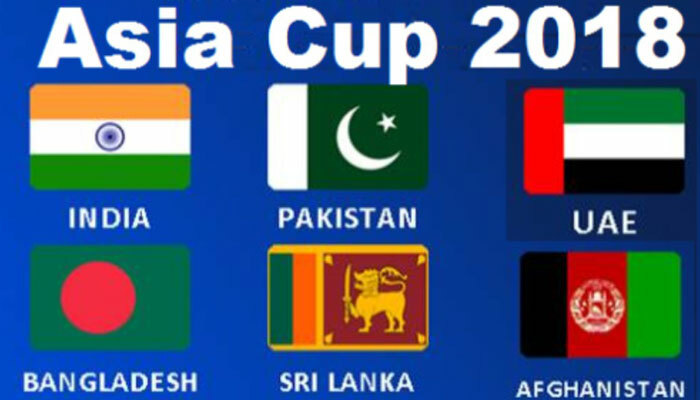 Sri Lanka, competing under Group 'B', will meet Afghanistan on September 17. The Group Stage matches will come to an end on September 20 and the Super Four stage will commence from September 21 to 26 with six games on the schedule. The final will be played on September 28 in Dubai. Sri Lanka is among the five ICC Full Member countries that will feature in the six-nation competition while the sixth team will be picked after a Qualifier Tournament among six ICC Associate Members. Accordingly the hosts UAE, Hong Kong, Oman, Nepal, Singapore and Malaysia will compete in a qualifier tournament in India and the winner will fill the third slot in Group 'A' which includes India and Pakistan. The top two teams after the group stage will qualify for the Super Fours. The previous Asia Cup edition in 2016 was played as T20Is ahead of the World T20 and this year the format will be ODIs as it has been played in the past. The top two teams from each group will qualify for the Super 4 and two teams will then play the final on 28th September in Dubai. Final (Top two teams): September 28 in Dubai.